At Cordicate, we understand that every business has unique needs and resources and we know there’s no one size fits all solution to engaging an IT Partner. At least there shouldn’t be. That’s why we’ve created a flexible engagement model that allows our clients to engage with us on their terms and to leverage our team(s) in the way that makes the most sense for their business. For some of our clients that means working with us to complement their internal teams, for others that may mean us owning a specific project from start to finish, working as their outsourced IT department or anything in between. 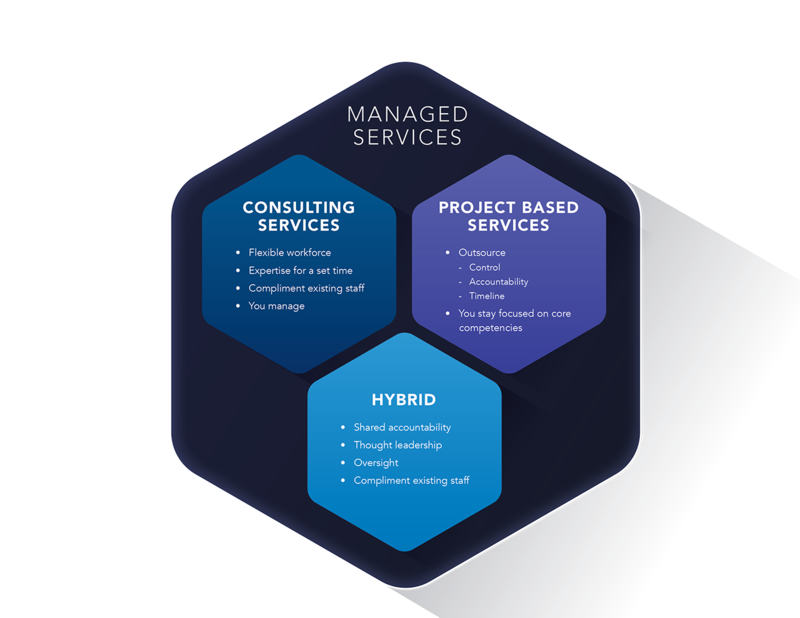 Our goal is to fit into the workflow of our clients in the ways that the most effective for them – from a relationship standpoint, from a capability standpoint and from a cost standpoint. Our engagement model is outlined below.